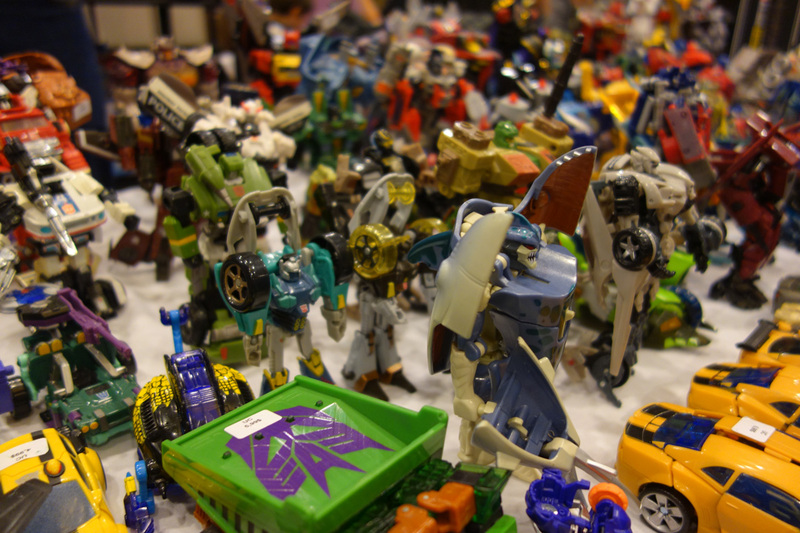 The ultimate fan run Canadian Transformers convention experience has come and gone once again. 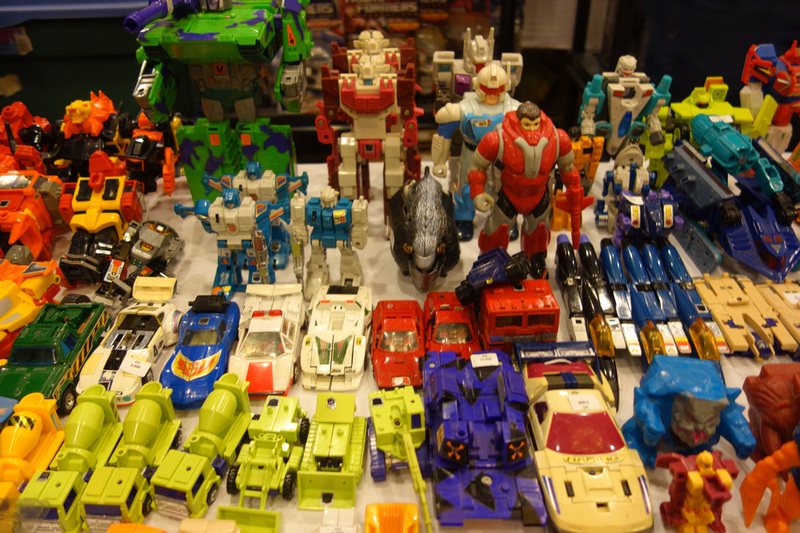 Here's a quick rundown of some of the main events from this year's TFcon. The big deal of this year's show was that Peter Cullen, the original voice of Optimus Prime, was a special guest. This was a bit of a homecoming for him, as he was actually born in Canada, and we let him know just how much the Canadian fanbase loves him. To get to meet him would require paying for an extra VIP ticket. 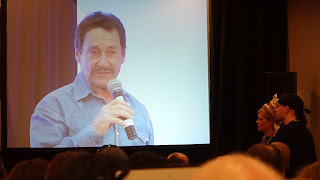 I did not want to pay for that (and in fact, I didn't pay to get in the show at all since I won a Twitter contest for a free ticket), but his Q&A panel was free for everyone. the questions had to be submitted for per-screening ahead of time. I sent one in and was pretty confident that it would be chosen. And it was! Here is a video of the first 20 minutes of the panel. Mine was the second question, at about 6 minutes in.. Even though I had a good feeling about my question being asked, I was still very surprised when I was called up so early. The camera doesn't catch it, but when my name was called. I was pumped, and I yelled "Oh my God!" or something like that, which is why you can hear the audience laughing. As he answered my question by discussing his admiration and involvement with NASA, I was quite captivated and wanted him to keep talking! 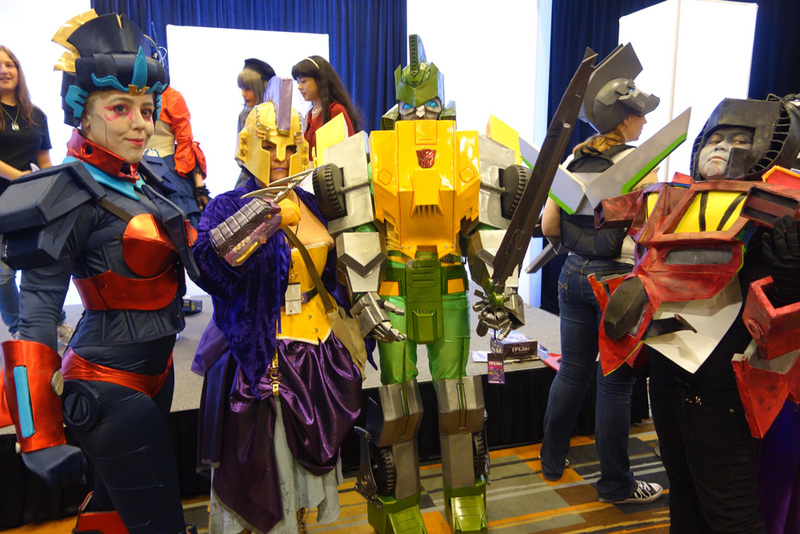 There costumes at TFcon get more and more elaborate each year, and there were some very creative ones this time. 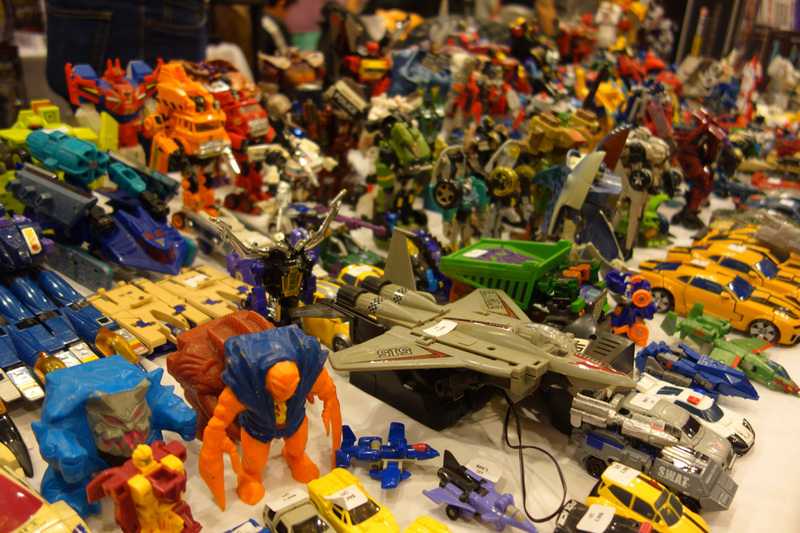 Of course, there were plenty of toys to buy. Even if you're not buying, it's fun to look around at what's available. But this is what it's really all about. 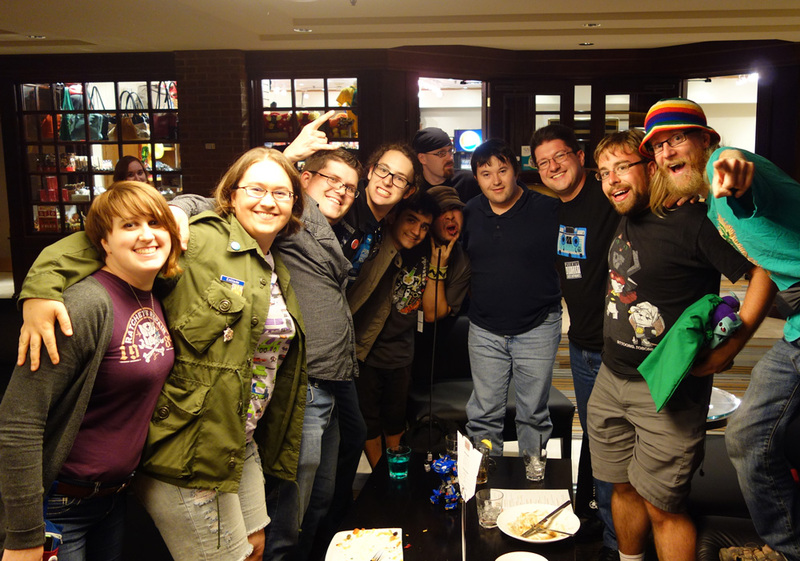 Hanging out with friends and cool people. 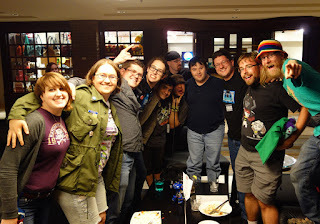 The TFcon community has become more like a family and seeing everyone again is always the true highlight of the show. 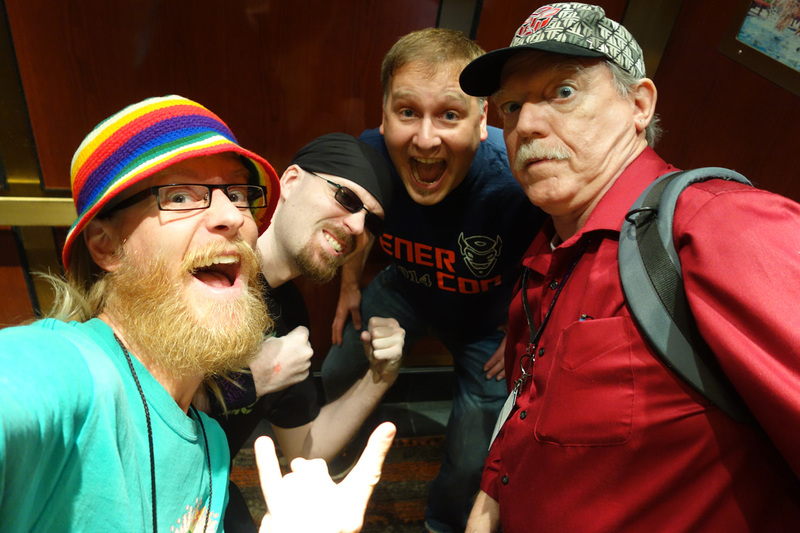 A funny moment happened shortly after the convention ended on Sunday when we suddenly found ourselves sharing an elevator with voice actor guest Michael McConnohie. The show wasn't over yet after all! Here's everything I bought. The big item in the batch is the Generations Metroplex, who is absolutely gigantic. I also got Generations Sky-Byte, Rattrap, Crosscut, and Waspinator, Beast Hunters Megatron and Shockwave. 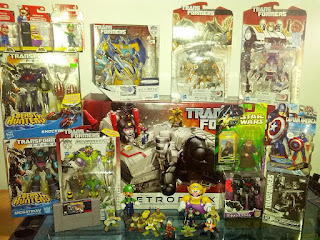 Transformers Adventure Nemesis Prime, the Tokyo Toy Show Exclusive Black Convoy, a Captain America figure, some Star Wars stuff, and a SNES Stunt Race FX cartridge. 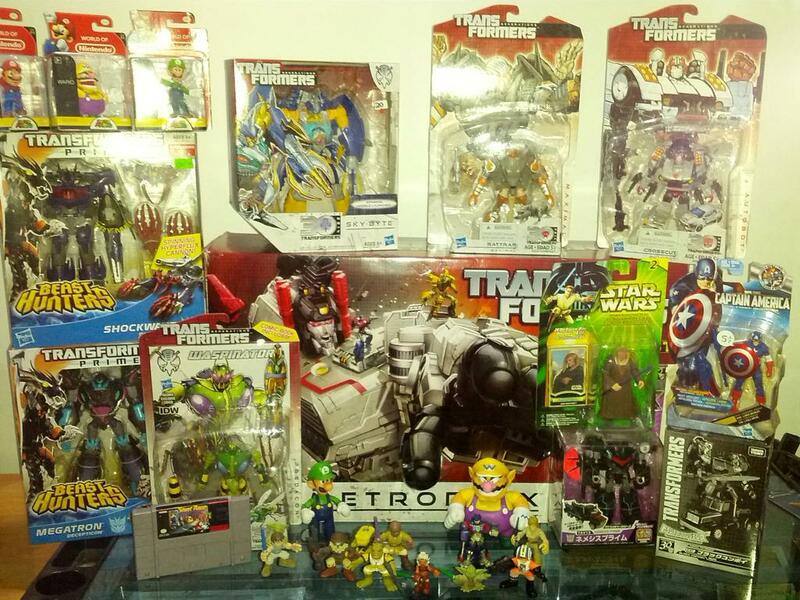 Also pictured are some World of Nintendo figures that I bought the day after TFcon during a return visit to the mall I used to frequent before moving away. Decent haul overall this time, but wish I got more for my money. Don't we all, though. The pictures in this post are not mine, they were taken by Guber, my usual wing-man and unofficial TFcon mascot. Guber didn't make it last year, and it wasn't the same without him. We were all happy to see him back, despite his ridiculous beard. Please encourage him to exploit his brand. 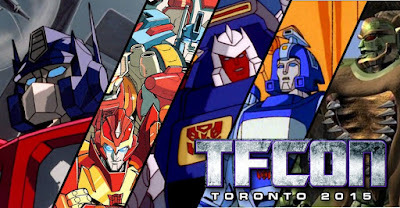 TFcon is the one time of the year when, as a Transformers fan living in Canada, everything seems right with the universe. It was only a few weeks ago, but it seems like too long. I eagerly await the next installment. A few weeks ago I got around to organizing and scanning some of my school stuff, including projects done with traditional media and pads of paper from life drawing class. Then there was a small amount of flooding and all of my artwork got wet. Even some of my visuals from my early days as a teacher and my old paintings where dampened. Luckily, the damage was not too bad and nothing was seriously damaged as far as I can tell, but I'm glad I scanned everything I wanted ahead of time. I've been working on a new version of SykoGrafix.com, which I hope to begin to show this month. It's about time that this place gets an upgrade! There will be new graphics and a new way of viewing the artwork. After that, I hope to be able to make more cool illustrations instead of just scanning old stuff. Until then, look forward to it! I forgot to post this art up here. It's Bumblebee and Fix-it from the new Transformers: Robots in Disguise series. Not to be confused with the old Robots in Disguise or the Robots in Disguise comic book which are both totally different than this. Hey, I don't name this stuff! I had not seen it the show yet when I drew this as it had not yet aired, but now I've watched the first 2 episodes and I like it so far. I worked on this whit streaming online via Picarto and I will be doing more of that in the future, so follow me on Twitter to find out when. You can watch as I draw, listen to some cool tunes, and chat! Also, I have recently been posting some of the artwork I did for a first year school project. The assignment was to take a video game and turn it into a board or card game so we would learn about how game mechanics and create the art assets. So, I picked the Scott Pilgrim Vs The World game. Scott Pilgrim is an amazing comic book series that I absolutely devoured when I first read it. The movie is my #1 favorite movie of all time. I had a lot of fun working on the drawings for this project, despite being sick and having to work beyond the end of the semester on it all. I wanted to at least share the artwork on it's own without getting into all the extra game-related material on there. There will be many more of these so keep watching my deviantArt account. I did not get around to drawing the entire cast so maybe I will draw some of the characters I didn't get to eventually.